Hobbs is a professional thief who takes on a heist even though the money doesn’t match the risk….but the woman behind the job does. It’s a bad play that blows his world apart. This novella is a prequel to THE SOAK, a searing crime novel that introduces an exhilarating new voice in noir fiction that’s as sharp, cruel, and relentless as the story’s unforgettable hero. The audiobook edition of Patrick McLean's thriller -- read by the author. 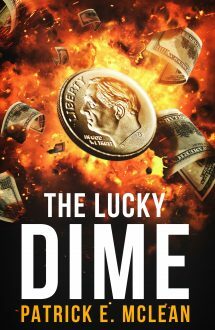 An aging, professional thief chases one last, big score into the eye of a Florida hurricane. Hobbs is a professional thief who takes on a heist even though the money doesn't match the risk....but the woman behind the job does.